Can you believe it’s already August? It seems like no color is more beloved in the hotter months than white so Adrienne of The Rich Life (on a budget) and I wanted to devote this month’s “How I Wear My” to one of the most popular shades of the season. The response we got this month was incredible and I believe it is our biggest round-up yet! There are so many looks to love in this post and you will definitely be inspired to wear white after you see it. Enjoy! This is definitely my new favorite picture of Adrienne. I love this entire outfit and what a thoughtful and sweet guy her husband is to surprise her with a Louis Vuitton clutch. Wow! This drop-dead gorgeous outfit that Veshoevius of The Taxonomy of My Wardrobe is wearing features pieces from the sell-out H&M Conscious Exclusive collection. I love how Veshoevius has worn it all together and added a Moises de la Renta for Mango T-shirt. Dramatic and divine! Deja of Une femme d’un certain age. 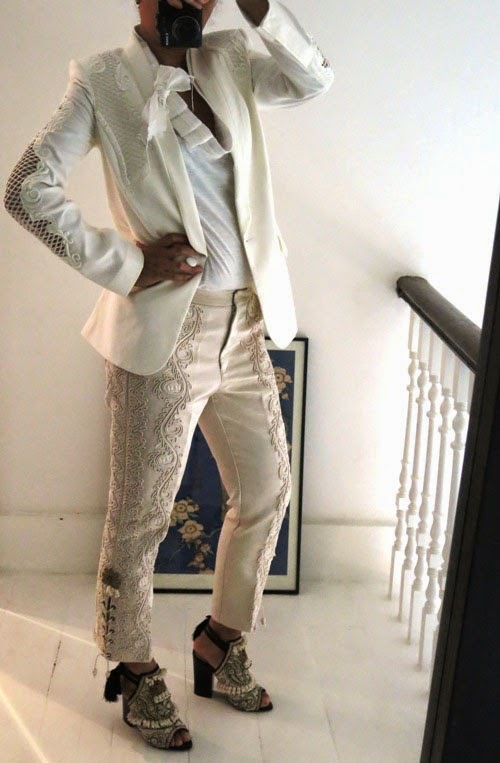 I have been into white jackets so much lately so I can’t help loving this casual look featuring a jacket in white linen, the perfect summertime fabric! Oh do I love this look on Sheree of It’s Not That Deep. Can you believe the pants are from H&M? I especially like the addition of the hat, the black Nike sneakers, and that smile! Glenda of So What To Twenty! looks beyond gorgeous in this very lush white pleated strapless dress. This is summertime romance at its best! Trina looks so low-key glamorous in this outfit that I am adding a pair of white linen pants to my shopping list, pronto! I think Ana brings up a good point—if you think that white does not suit your coloring, a great way to still get that summery look is to wear a pair of white jeans! I love Alicia in this dress so much and what a great picture of her—I adore the dress, her bare feet, and her joyous and lovely laughing smile! Alice wears prints so very well and this pair of printed pants by J. Crew looks fantastic on her. I especially love the addition of the white jacket, deep blue blouse, and silver heels! Dawn Lucy of Fashion Should Be Fun wanted a “clean modern take on a boho silhouette,” she said, so she paired a white tank and cropped jacket with flared jeans. I love the 70s vibe of Dawn Lucy’s look, don’t you? Elsie of The Cooking Wardrobe. 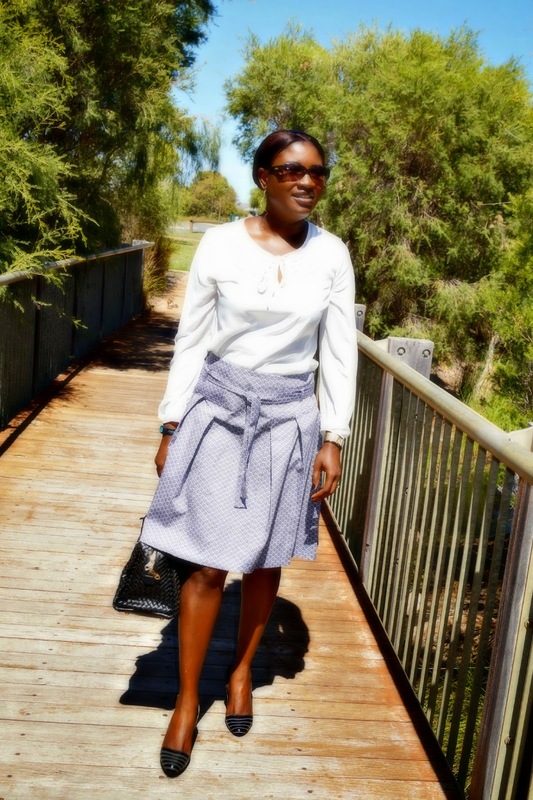 What a sensational pairing on Elsie of a white blouse and pleated gray skirt. 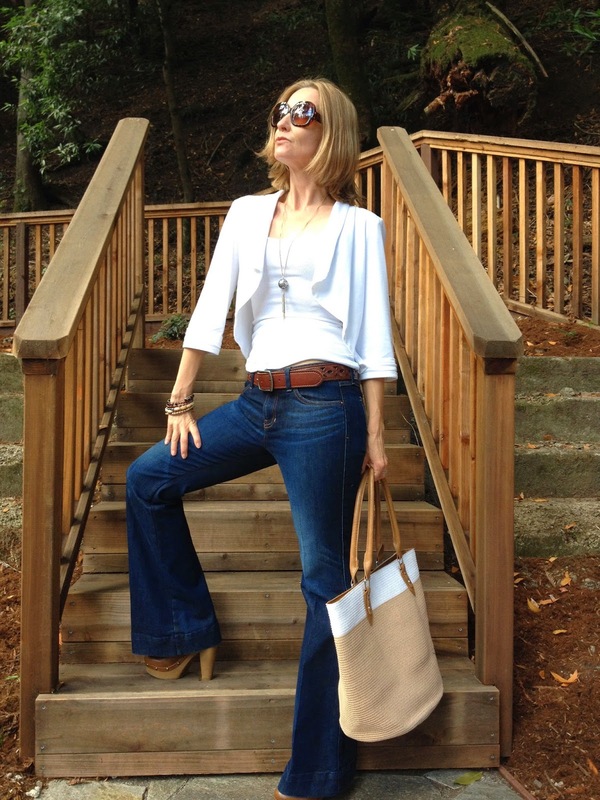 It’s great for summer and a wonderful transitional look into early fall! Jan of Fort Smith Stylista. I love that Jan made this skirt and it looks lovely with her Calvin Klein top. Just like Elsie’s outfit above, I think this is the kind of outfit that is perfect in summer and also makes a nice transition into autumn. 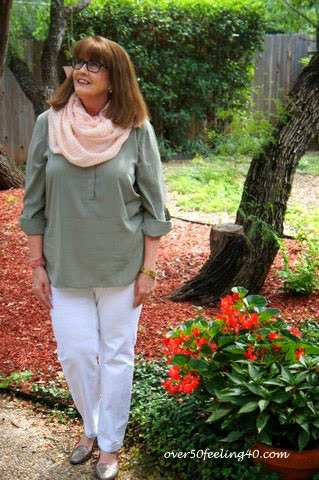 Pam of Over 50 Feeling 40 is wearing white denim by INC, a Chicos tunic, and a scarf that was a birthday present from her son. I love this palette of summer neutrals on Pam! I do love white with turquoise, it is one of my favorite color pairings, so I am a big fan of this ensemble featuring a turquoise statement necklace and sandals! Happyface313 admits white is not her favorite color but I like how she uses it in her accessories. 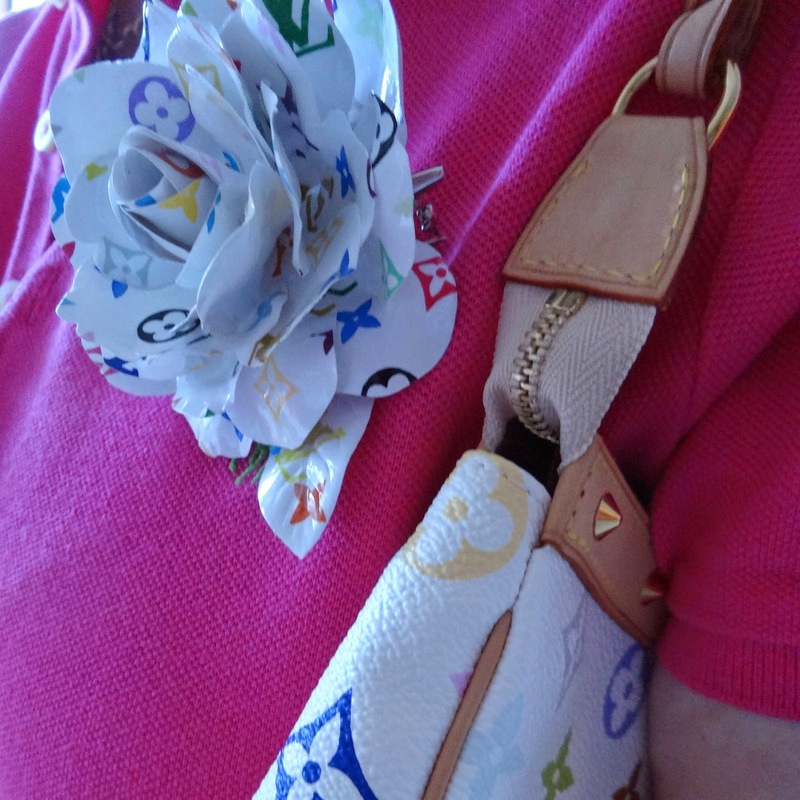 I especially like the colorful surprise of the Louis Vuitton monogram rose! I love the colors of this Louis Vuitton rose! 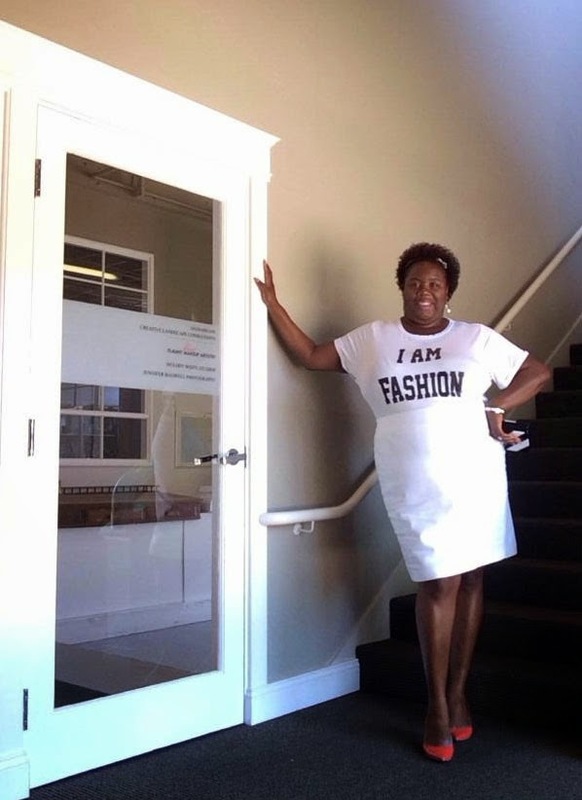 I love the statement of her shirt, especially paired with a white skirt by Lane Bryant and bright pumps by Nine West. She is fashion! 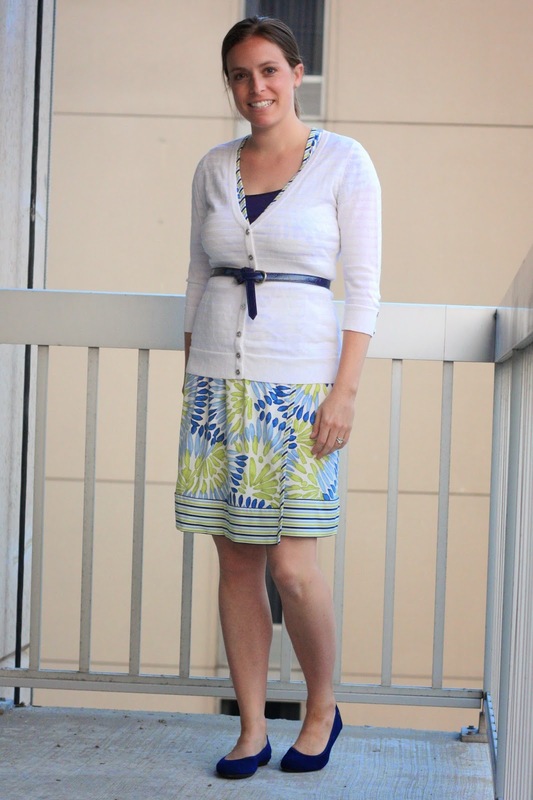 Her ribbed white cardigan makes such a feminine pairing with a colorful wrap dress and I love that she belted it! Natalia of In the Writer’s Closet. Natalia of In the Writer’s Closet is wearing the kind of white skirt I find so dreamy and gorgeous for summer. It seems like it would be a must-wear every single year! 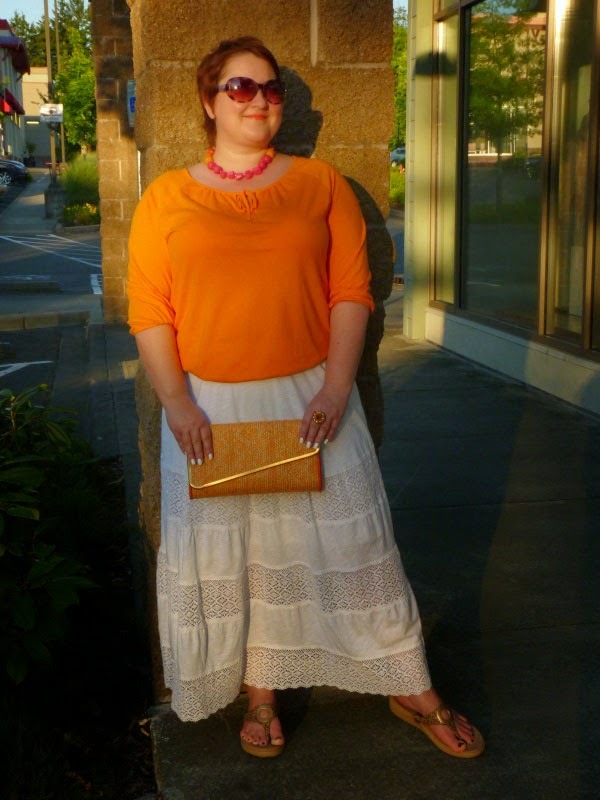 SPD is wearing a color combination that is my go-to for summer—a dark top paired with white. And you know I cannot resist a fabulous bag so I am drooling over that gorgeous Hermès Plume. Mama like! 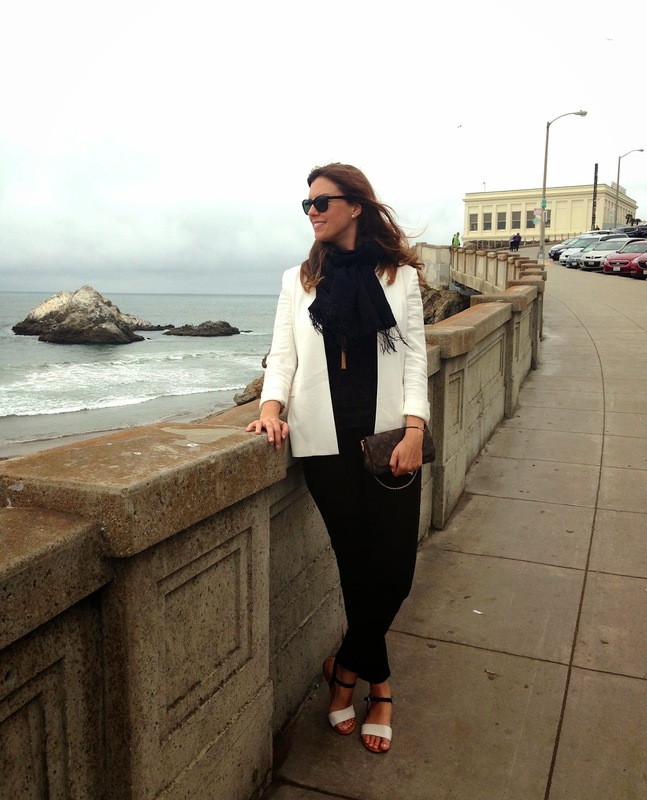 Nora of Jacket Society is featuring one of my favorite combinations—white with khaki. And the gorgeous caramel color of her belt, Prada bag, and Cole Haan shoes makes the whole outfit pop. I love this look on Nora! 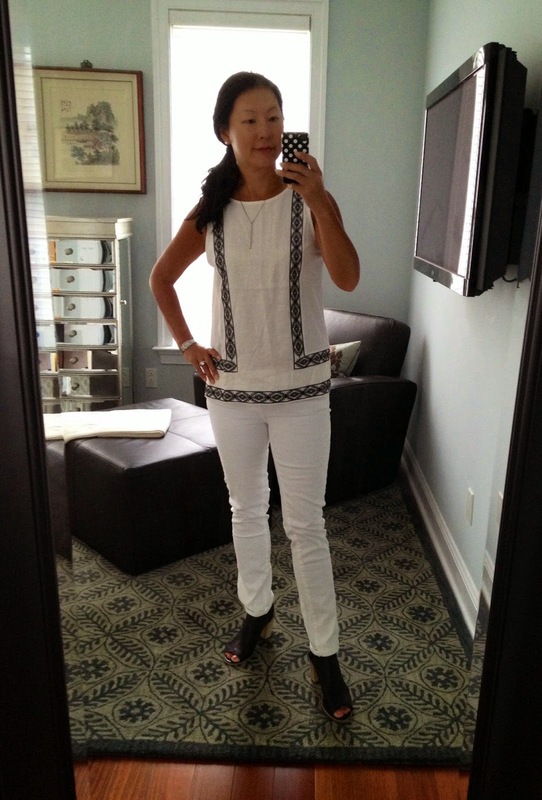 I agree that white jeans are great year-round and I am going to make an effort to wear mine more this December! I love Tamera’s summer look, it’s so glamorous, and want to join both her and Helen, above, in wearing more white in winter! Nina makes me want to join her in the wearing of culottes, I am so into this entire ensemble. Would you wear culottes, either for the first time, or as a visit to a style of the past? I’m with Cynthia, black and white is also a favorite color pairing of mine, and I love how Cynthia has done it here, with a white jacket and a mini black circle skirt. 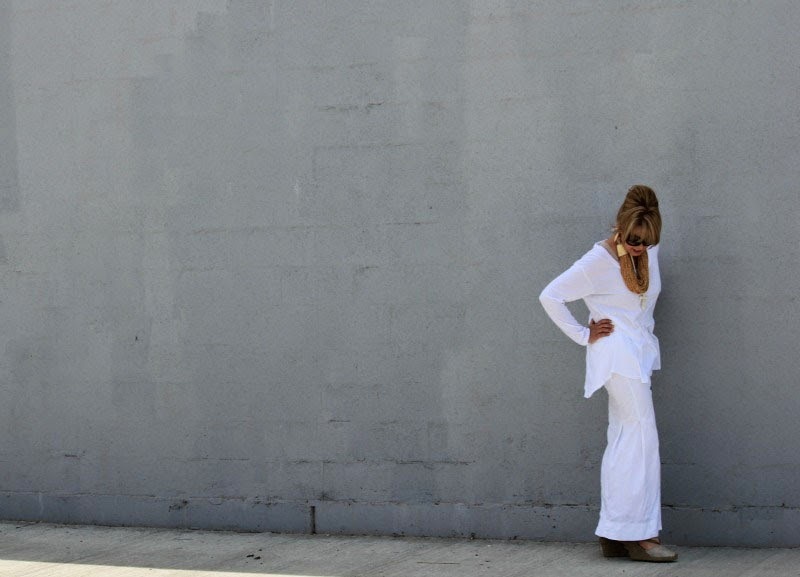 I will admit that I am sometimes skittish about wearing white since I live in New York City and it seems like white is just asking for trouble on the subway and on city streets. My trusty white jeans from Old Navy, inexpensive and fabulous, helped me get past this anxiety by reminding me I don’t have to spend a lot of money on them and if they get dirty, hey, they’re just jeans. There is dirt on the hem of the white gown I got married in because after my new husband and I finished dinner at the Rainbow Room in Rockefeller Center, we walked home to our place in midtown Manhattan. And to tell you the truth, I sort of love that dirt on the hem. It reminds me of the fun of getting married at City Hall and how wonderful and romantic it was to stroll home (along Fifth Avenue!) as a newlywed. What a great reminder for me that sometimes white gets dirty and it’s okay! I love my Anne Touraine silk chiffon stole and L’Wren Scott sunglasses! As for this outfit, along with my Old Navy jeans I am wearing a very sheer J. Crew white T-shirt printed with gold palm trees, my beloved Anne Touraine silk chiffon stole, and jewelry by Julie Vos—Corsica stacking rings and a Pippa pendant in sapphire blue. And as you may have guessed from the photos, I am not in New York right now, I am in Virginia! J. Crew T-shirt, Anne Touraine necklace, Julie Vos jewelry. Does wearing white make you nervous or do you just go for it with no fear of whether it ends up dirty or not? Get every last bit of sartorial splendor out of your summer by joining us next month for “How I Wear My: Sandals.” We want to see not only your sandals but your entire outfit so please send us a full shot of your look by September 2, 2014. 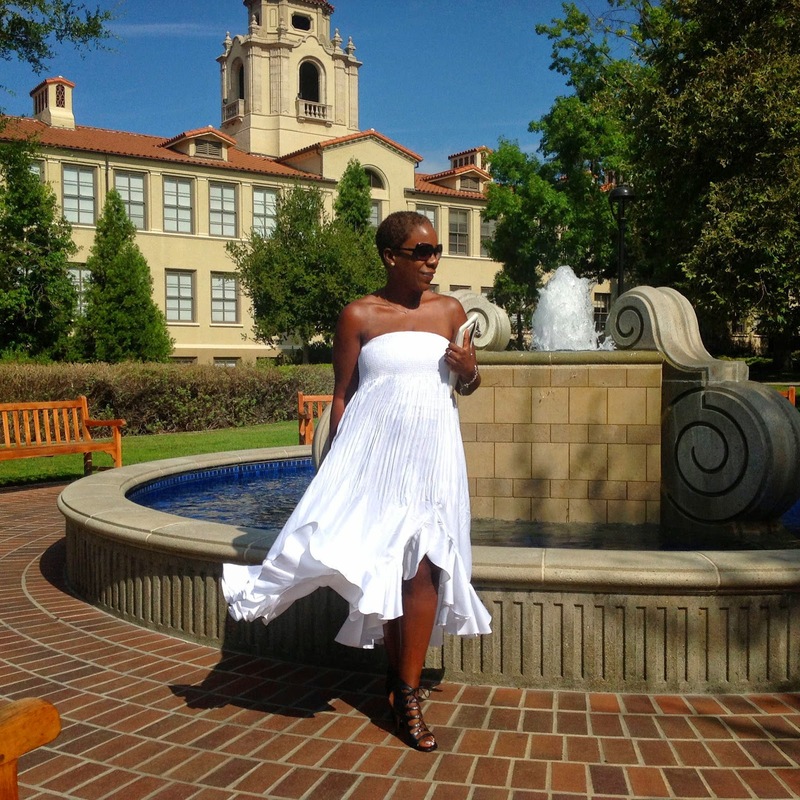 Do head on over to Adrienne’s to see even more fabulous looks featuring white. And thank you to all the fine foxes who joined us this month. What a turnout! So many great ideas...and you look amazing Jill! Thanks for hosting the party! Wow, I love all the great outfits this month! Thank you for hosting Jill! WOW! This series just keep getting better and better. It's like a fashion magazine! You look totally stunning in that shade of blue. What a beautiful scarf and I love the way you styled it. Everyone looks so fantastic...I know I always say this, but this month's installment might be my favorite HIWM yet! So honored to be included in this list Jill! I can't believe my thrifty and casual style made it and in the company of all you chic women. Can't wait to visit everyone's blogs. Thank you again! Another great group effort...love how you have accessorized your outfit with those pretty jewels. The top and necklace are such a cool shade of blue....almost sapphire. Love the bright blue shawl with the white. Very chic. Quite an impressive assembly of white here. White needn't bother asking for trouble with me as it's all I can do to keep my BB pinpoint cotton English spread collar unblemished all the way to the dessert course. My delightful Korean laundress needs only the type of sauce, Port, or lipstick to ensure that her patient lives to fight another day. I recently purchased a white linen dress which I wore at the weekend (saw the deadline of 4 Aug too late) but after seeing all the women and styling of their whites here and on Adriennes site, I am inspired to wear white more often! :-) As always, I'm amazed to see all the ladies' outfits and they all prove that white is not white, they're all excellent looking individuals. Happy to be part of this outstanding crowd. Wow! 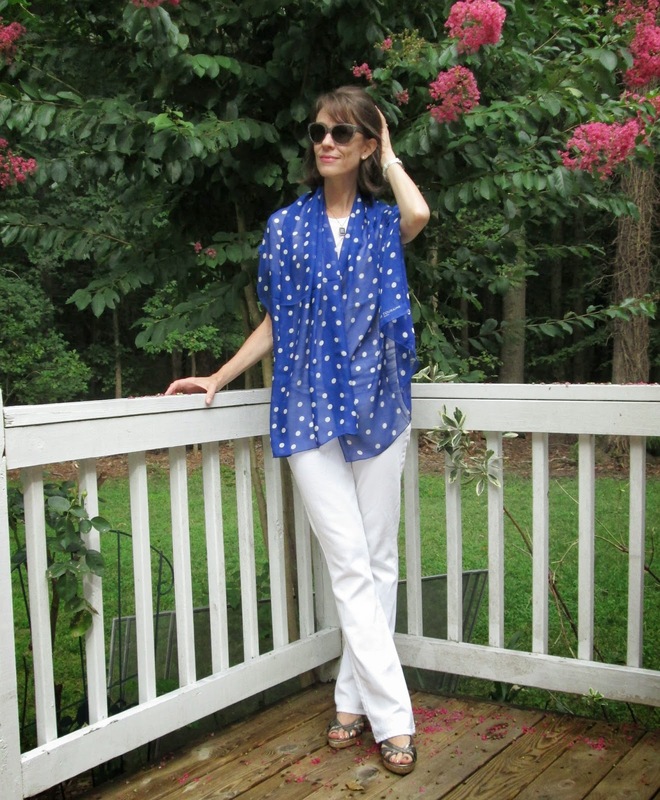 I love the blue and white polka dot scarf as an accent to your white. So elegant! I do think white suits and flatters everybody. Loved seeing everyone's outfits - goes to show there is a way of wearing white for each of us. I decided I was going to pick a favorite look to comment on, but it's just impossible! Soooo many great looks! Love HIWM and always so happy to be a part of it. You always look chic and classy, Jill! Love all these looks -- summer whites are my favorite. I think my favorite look here is Tamera -- she always looks so glamorous. Fresh and fantastic looks. Everyone looks great! Thank you so much Jill for including me, all the ladies look fantastic and I love your beautiful blue scarf with your white outfit. Thank you for creating this amazing post! Congrats to all the girls!! !